Arksen, a new initiative in the superyacht market, is the brainchild of Jasper Smith, who brings knowledge from a career spanning 30 years in the games and technology industries. 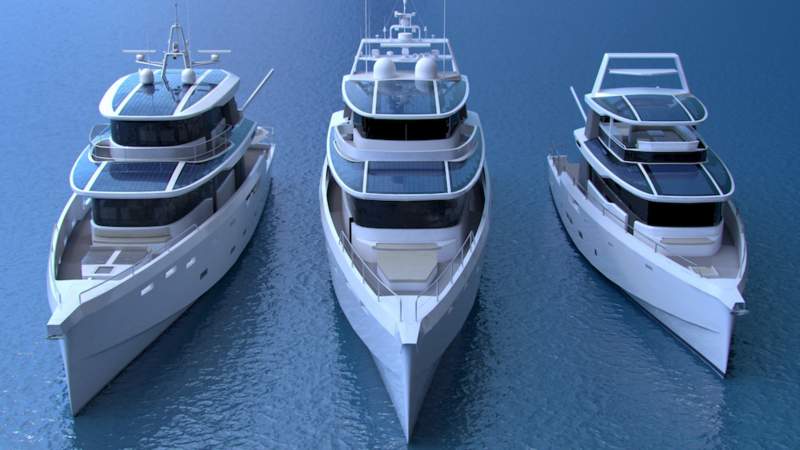 Its first project is an explorer yacht project that promises to build “the most authentic” vessels of its kind. 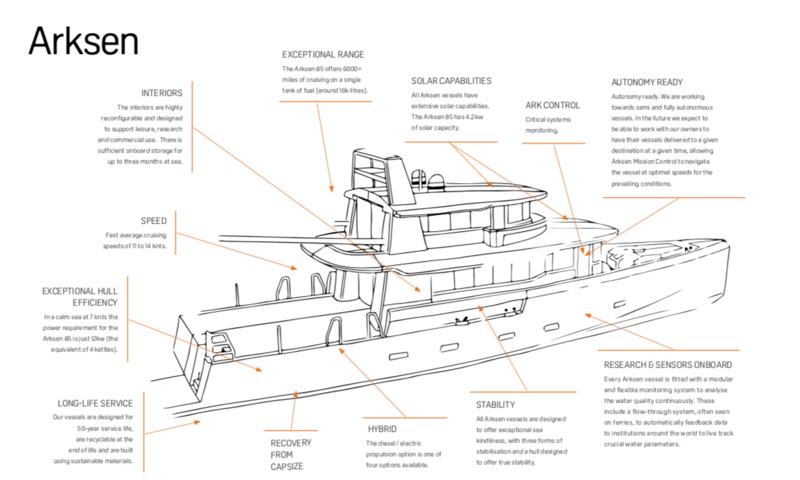 Through a mixture of technology, research, exploration and adventure, as well as a number of sustainability initiatives, Arksen hopes to benefit the marine industry. Arksen’s business model is centre on three key pillars; the Arksen Series (Arksen 70, Arksen 85 and Arksen 100), the Arksen Foundation and the Arksen Explorer’s Club. As well as Arksen itself, the team behind the project comprises Humphreys Yacht Design (exterior), Wight Shipyard Company and Design Unlimited (interior). “Jasper’s whole ethos relies on his belief that you have to like the people you worth with. In order to be truly successful, there must be a shared value system,” explains Tanya Brookfield, Arksen’s executive director, speaking exclusively with SuperyachtNews. “That is how Arksen came together with its various partners. 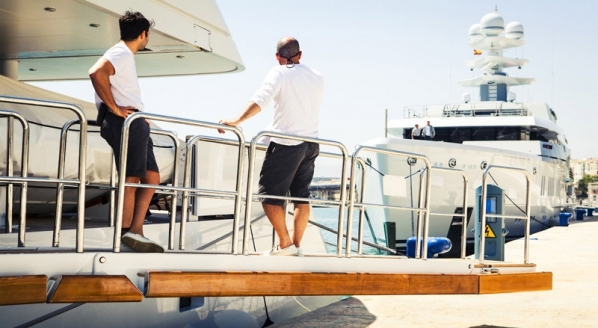 “However, I don’t think that we would necessarily pitch ourselves as a superyacht company. 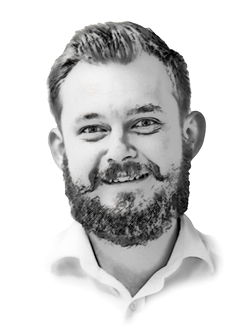 A statement that Jasper has used many times to describe the business is that ‘owning an Arksen is not a status symbol, it’s a statement of intent’. We try extremely hard to embody that statement and it is already reflected in those people that are attracted to Arksen vessels,” continues Brookfield. According to Arksen, its vessels are “designed for explorers and made for adventure”, claiming that “on almost every level, the Arksen vessels beat the competition”, including strength, range, environmental impact, life-cycle management, usage opportunities and maintenance. Interior layouts are designed to be easily reconfigured so that they can be used for leisure, research and commercial purposes. Arksen has not only set out to create an explorer vessel, it has also created a platform for owners and researchers alike to curate their own adventures and scientific projects through the ‘Explorers’ Club’. The Explorer Club will feature two different types of journeys: custom trips and signature trips that follow in the footsteps of famous adventurers. Additionally, the Arksen Foundation, a non-for-profit organisation, has been set up to provide project funding, facilitate cutting-edge scientific research and create innovative media to inspire a greater understanding of the fragility of the ocean. All Arksen owners join the Foundation and pledge to donate 10 per cent of their vessels’ annual sea time to projects that the foundation collectively supports. This allows scientists, explorers, thought-leaders, filmmakers, journalists, photographers, artists and athletes access to a fleet of vessels from which to run their projects and realise their ideas. A statement of intent and as a sign of Arksen’s commitment to the environment, Arksen has signed up to ‘1% for the Planet’, an international organisation whose members commit to donating the equivalent of one per cent of annual sales to support environmental causes. “Ultimately, Arksen is about delivering the very best machines for ocean adventure that money can buy, supporting them and giving out community of owners, scientists and conservationists the confidence to use your vessels to their full potential. Our collective futures will depend on our ability to understand, protect and save our oceans for future generations, and I know that sailors who are inspired to own an Arksen vessel will embrace our ethics and approach,” concludes Smith.